A St John Ambulance volunteer who has given 68 years of service to the charity on the Isle of Man has been honoured in the New Year Honours List. 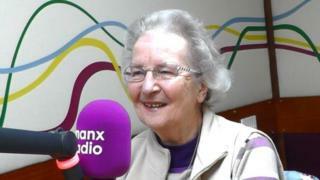 Mary Bridson, from Douglas, has been awarded the British Empire Medal (BEM). After joining in 1950, the now 79-year-old worked her way up the ranks to become a commander in 1999. While Mrs Bridson described her recognition as "very unexpected", she said it was "nice not to have (to keep the news) a secret any more". She now serves as personnel officer, keeping members' records up to date and helping out with fundraising. Retiring is not on her agenda, she said, adding that she hopes to continue working for the charity as long as she can. Reflecting on the last 68 years, Mrs Bridson said: "I've put a lot into St John, but I've always got a lot out of St John. "I've met some very interesting people and made a lot of nice friends," she added. Among them was her husband of 52 years, Derek. Chief Officer John Gill said the charity would be "lost without her". "I'm delighted that Mary's 68 years' service to the island through her work for St John has been recognised by this award," he added.